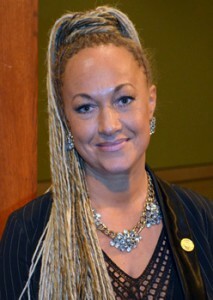 What Is Really Going On With Rachel Dolezal? Howard University for denying her teaching posts and a scholarship because she was a white woman? One day she’s white to get what she wants and the next day she’s black to get what she wants. She’s either a super con artist, or she’s suffering from a mental illness which she has not yet been diagnosed with.